Every second you spend trying to navigate a painful user experience and slow-loading app is a second you’re not spending building your business. Don’t waste your limited budget as a pro-blogger on expensive consultants just to implement your email marketing system. ConvertKit makes it easy for you to run and grow your email marketing on your own, no matter your skill level. It’s the power of Active Campaign with faster load times and a more enjoyable user experience. ConvertKit’s interface is easy for a beginner to understand, but powerful enough for an advanced marketer to want to use. No need to hire a dedicated tech employee or consultant to run your email marketing. Our Support and Success teams are the best at helping creators earn a living online and are always available to help if a question pops up. No need for third-party form or landing page integrations (but we have them if you want them). 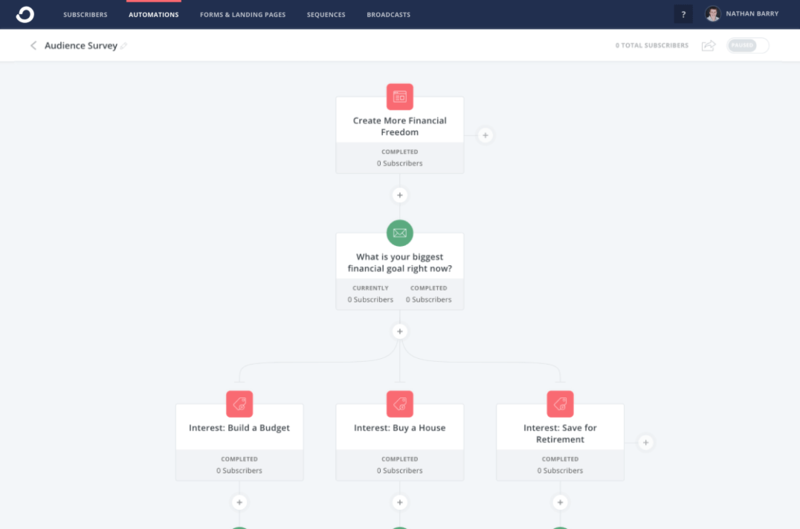 Streamline your budget with ConvertKit’s built-in lead capture tools. Automatic email incentives let you deliver content upgrades without creating new automations. Don’t waste time building clunky forms. Our simple customization and opt-in form setup gives you beautiful design and great conversion rates for new email subscribers. 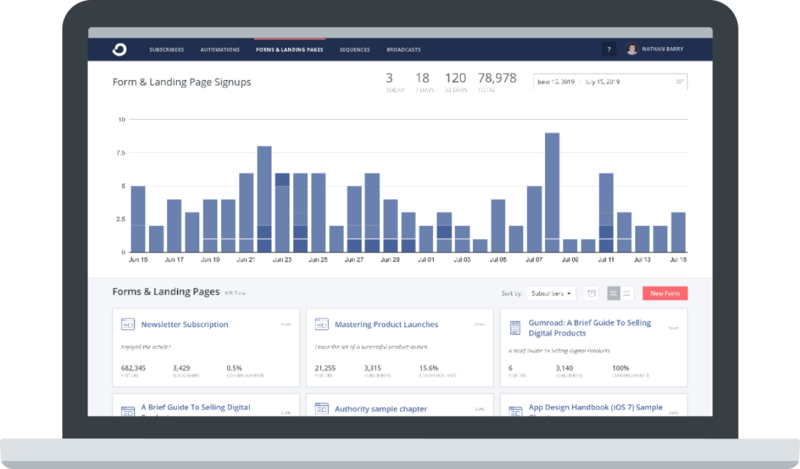 Easily understand how well your forms and landing pages are converting with a quick look at your homepage dashboard report. ConvertKit makes it easy to write and edit plain-text emails that give you better open rates and higher conversions. Simply put, humans like emails that look like they come from humans. Our built-in email sequence builder means you don’t have to manually create an automation for each new email in your sequence. The drag-and-drop sequence editor interface lets you add, rearrange, and delete emails in your sequence in one glance. The Resend to Unopens button lets you easily resend broadcasts to subscribers who missed it the first time around. You don’t need to take our word for it. Read these stories from bloggers who made the transition from Active Campaign to ConvertKit to find out why they switched and why they’re still loving ConvertKit. "Being in the weight loss niche and the make money online niche means my deliverability is never going to be perfect, but ConvertKit has had great deliverability and I usually average a solid 20%+ on all emails." "It’s no surprise I loved it so much. Convertkit is specifically designed for bloggers and info-product creators and it shows."